Joshua Sindel is doing double-good duty. 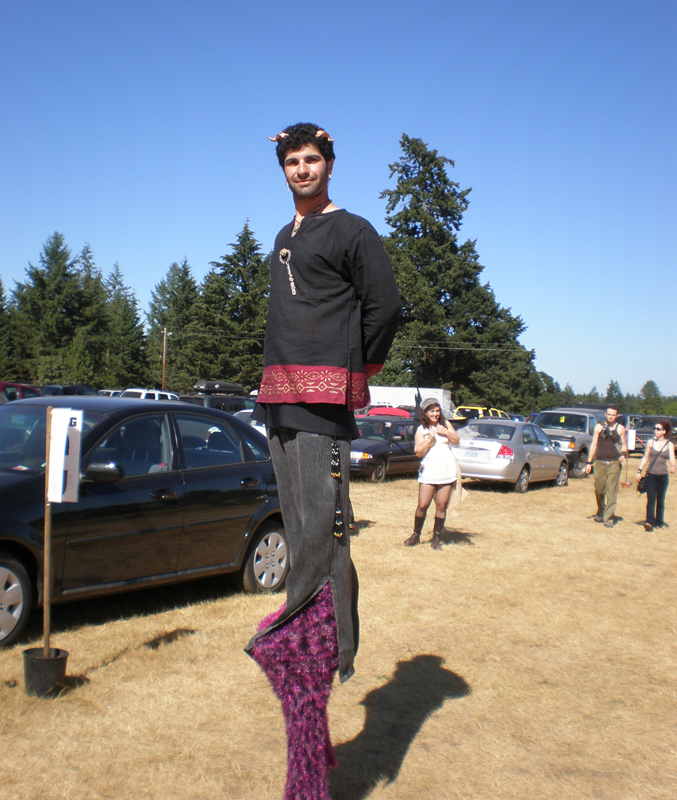 He’s an AmeriCorps member and a Substitute Teacher with a very unusual hobby: he’s a stilt walker (they prefer to be called Elevated Americans). 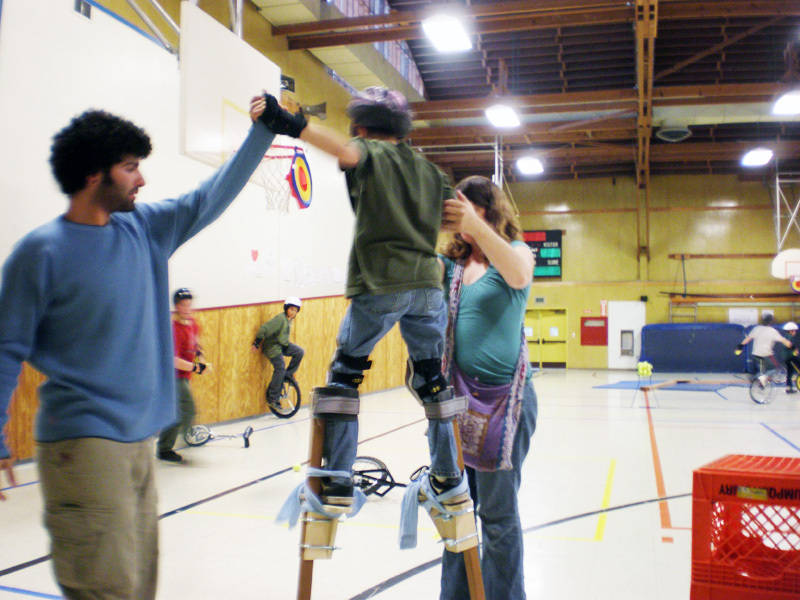 Joshua, who is from Eugene, Oregon, requested $1,000 to buy stilts for kids in the rural community of Oakridge. He says kids there don’t have many fun things to do and can make detrimental choices. 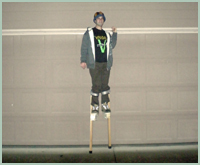 By purchasing five pairs of stilts at $200 a pair, Joshua plans to teach interested students this unique talent so they can march in local parades or just have fun. 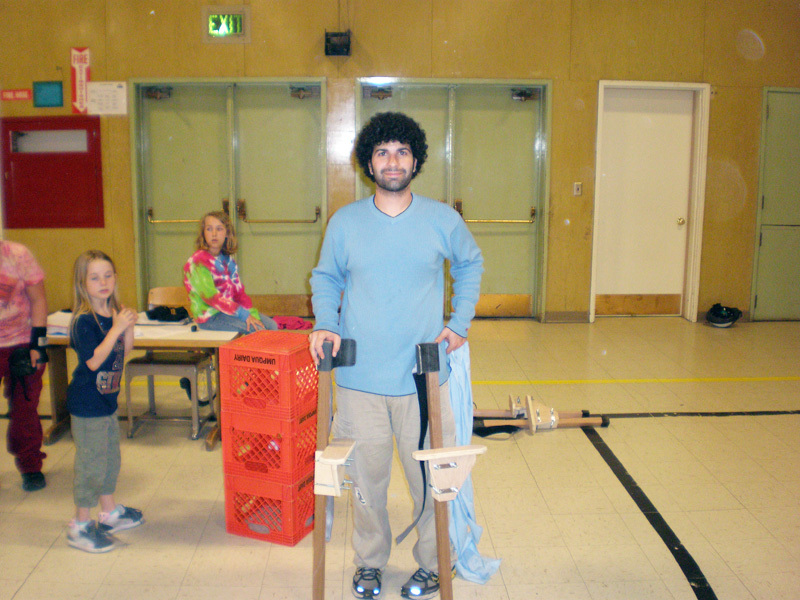 He also wants to encourage them to make more pairs in the high school wood shop class. 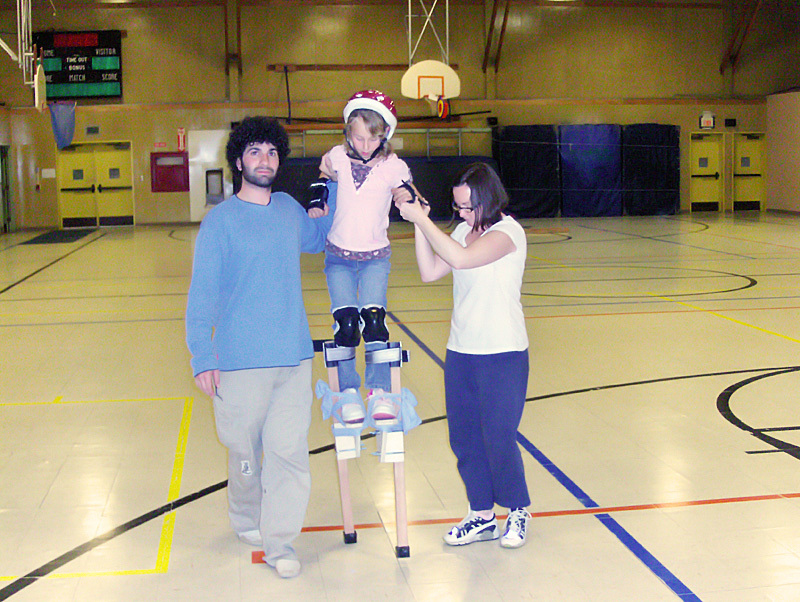 Once the students have learned to use the stilts, they will be available for use during recess periods, and during after school programs. 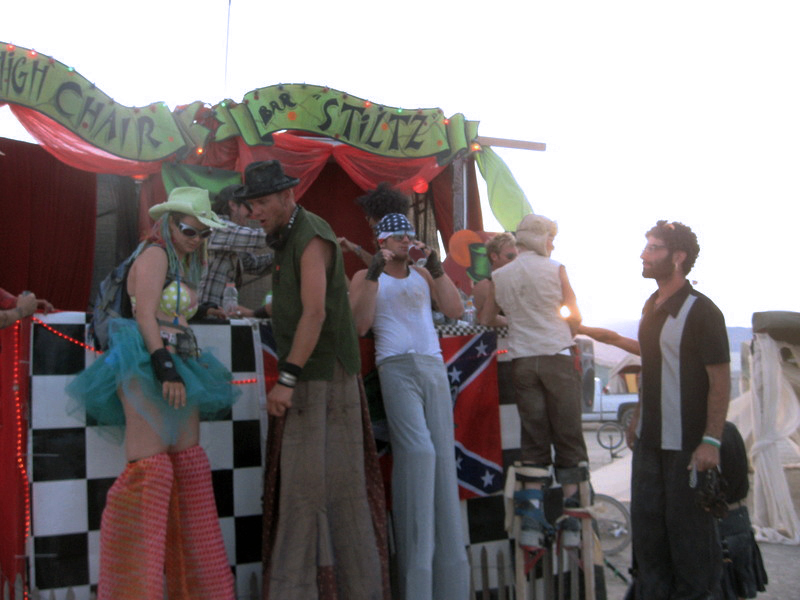 There is also an annual parade where students will be able to show off their new skills by dancing in front of the town. 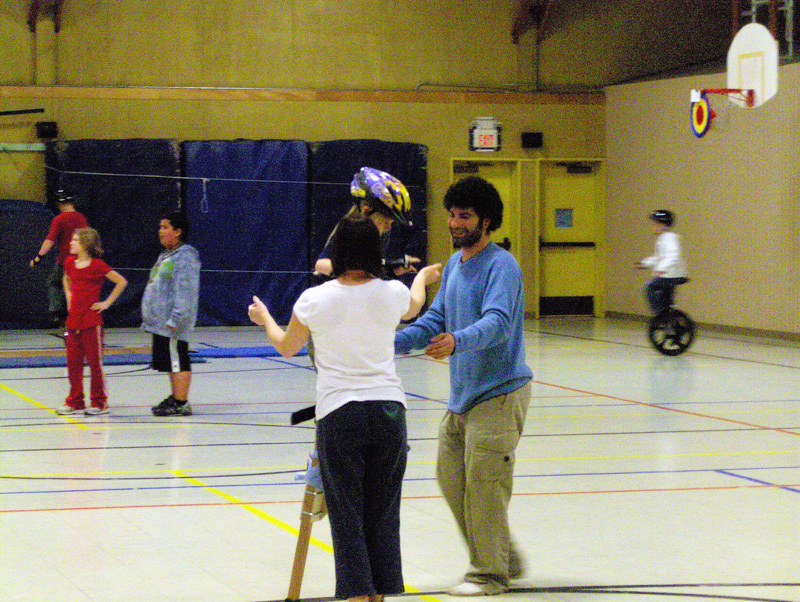 It’s well known that fun activities keep kids out of trouble, and this definitely sounds like a fun activity! 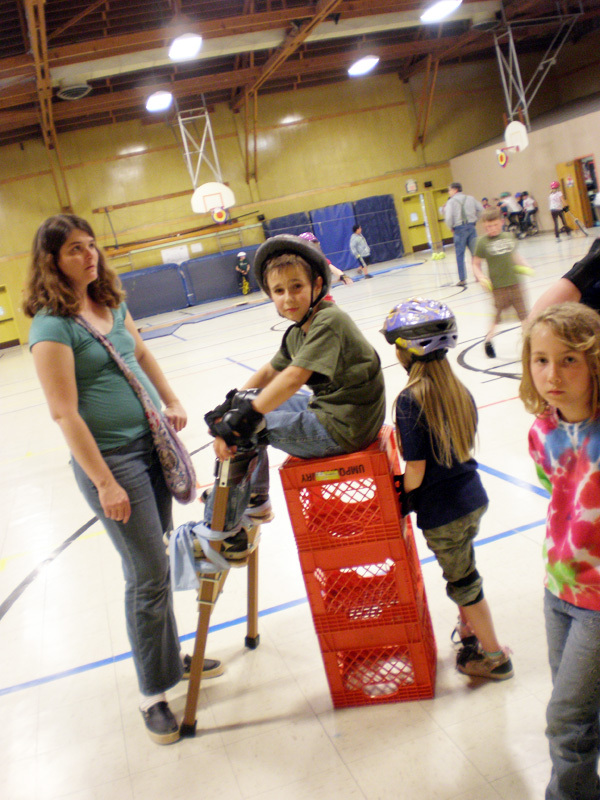 Over 50 students have signed up to use the stilts and more permission slips are coming in every day. Good going, Joshua! 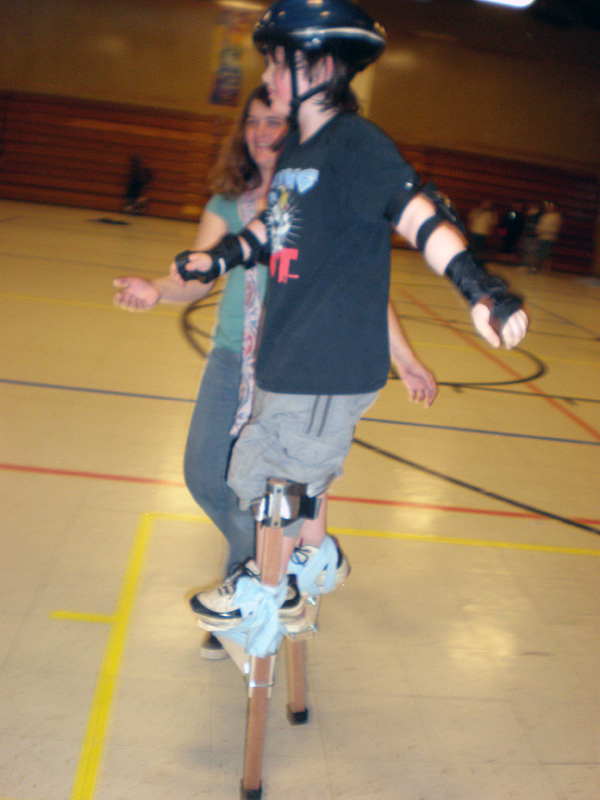 Joshua sent us an update on his stilt walking program... "I am happy to say that the stilt walking program is off to a great start and community members are mobilizing to help make it better. 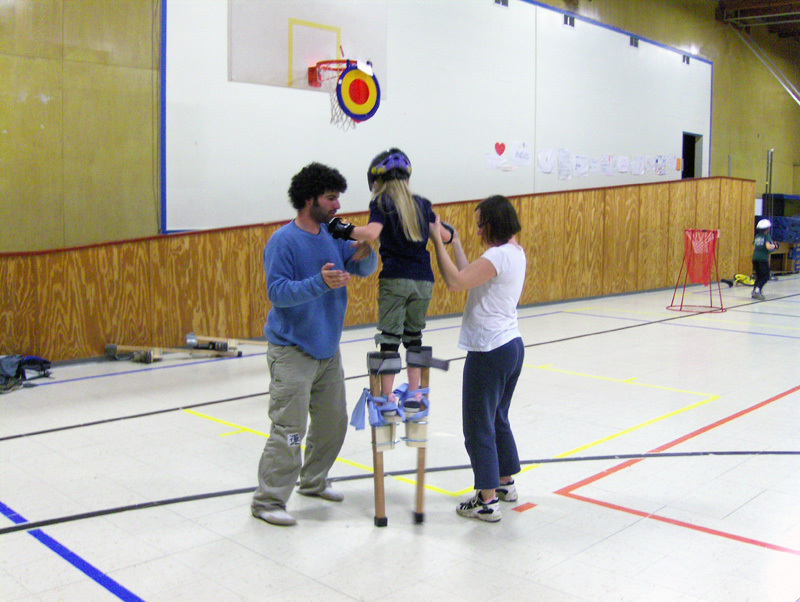 Too many kids wanted to stilt walk for me to handle alone and I quickly started teaching observing parents how to get the kids going. 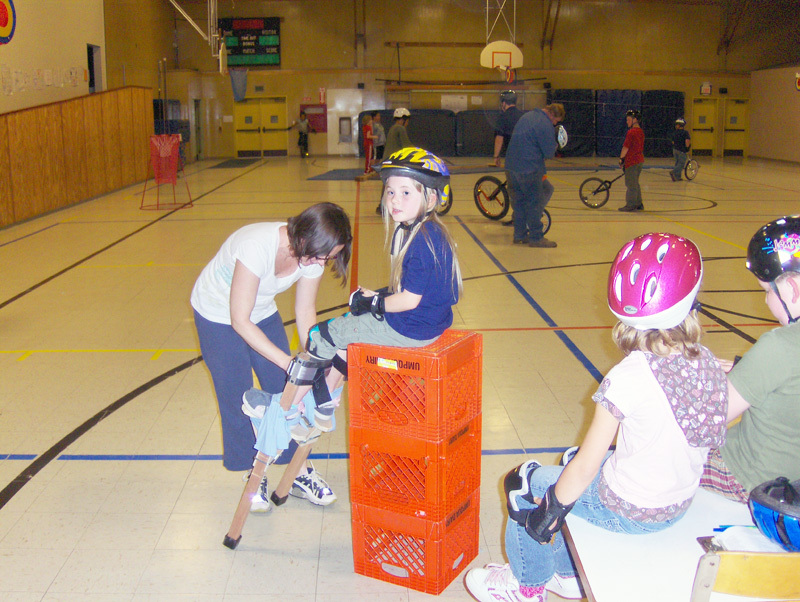 We had some slips and falls (in one picture I'm on my back because I slipped trying to catch our tiniest stilt walker), but with the knee pads on the students simply laughed off their topples and hopped right back up. 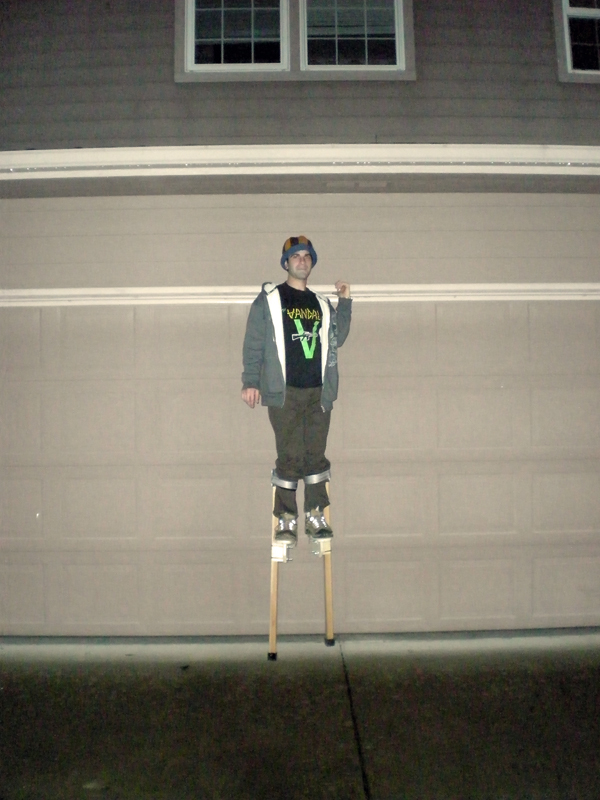 I hopped up on my stilts for a bit which is different because I recently extended them to 3' of lift. 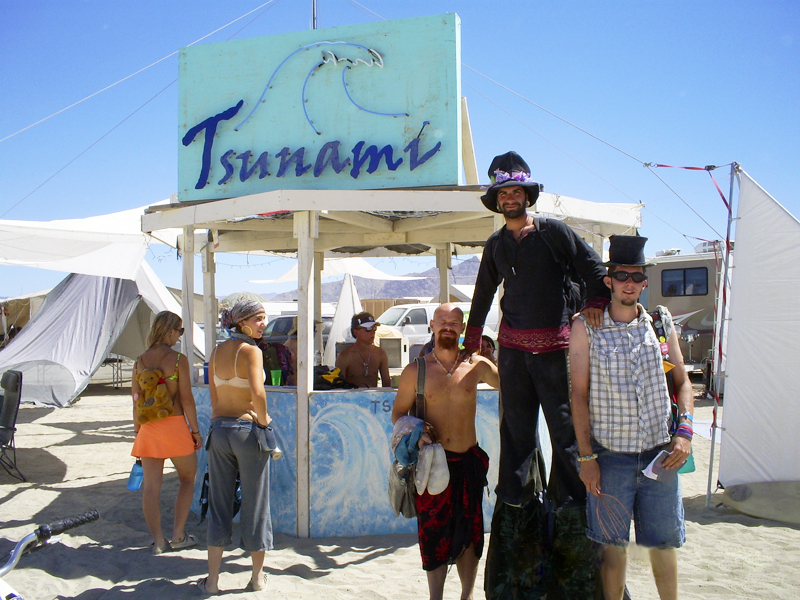 Sorry nobody snapped any pictures of me walking tall." Joshua has a bachelor's degree in business and is now helping local high school students make future plans such as college or other career choices. 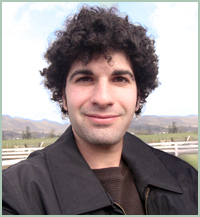 He has two brothers and his family lives in the Los Angeles area. 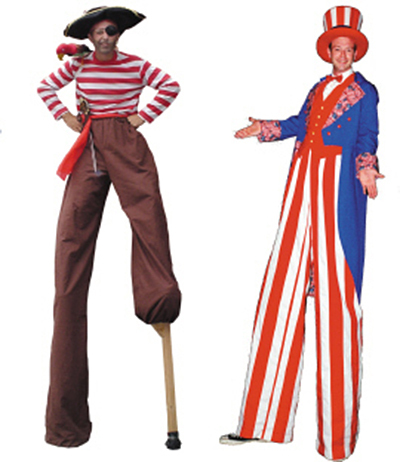 Joshua told me that he dressed in costume and on stilts for the Jewish Holiday of Purim and everyone loved it! 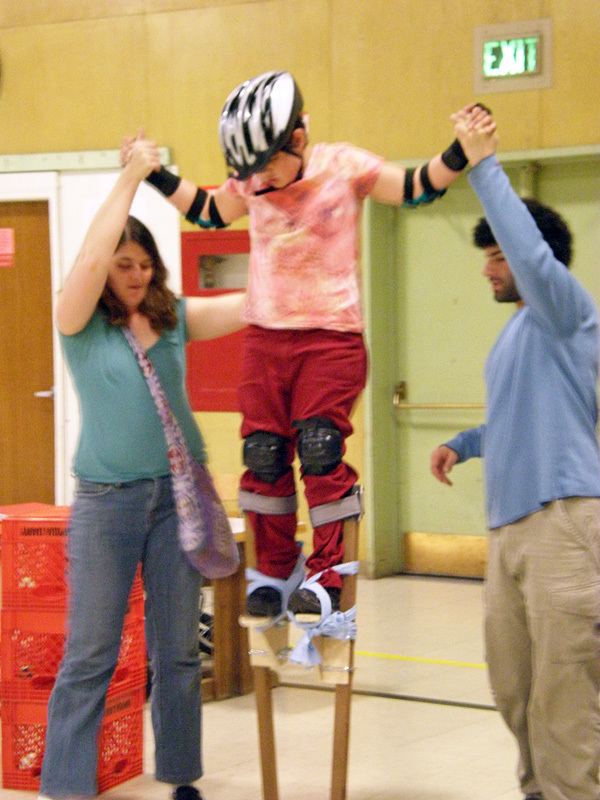 He's ordering the stilts right away so his stilt-students should be ready to dance in the upcoming Tree Planting Parade in May. 03/13/09: Jenny wrote... "Joshua, this works on so many levels: it’s good exercise, fun for the kids, and a great way to keep them out of trouble. What a great idea!" 03/13/09: Damon wrote... "Congratulations, Joshua. 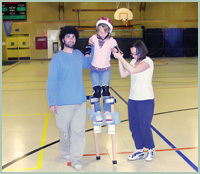 I imagine you’ll have kids lined up to learn stilt walking. 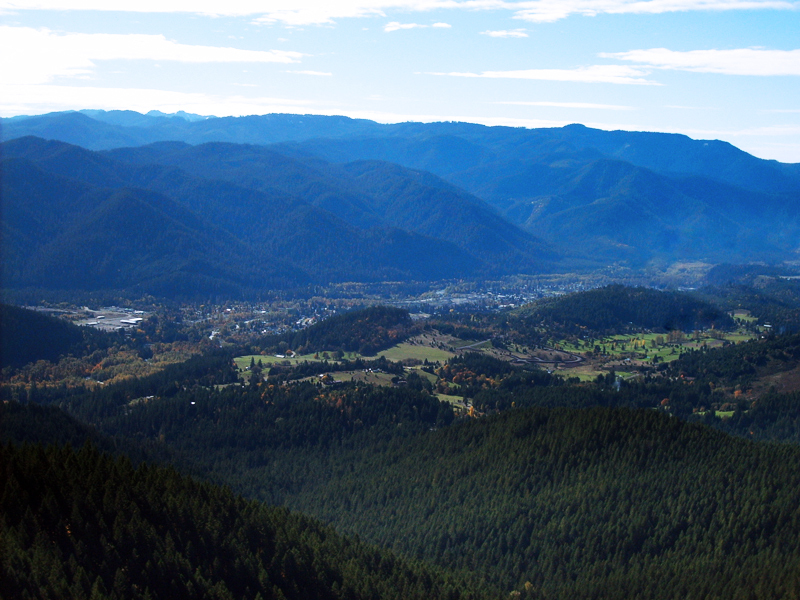 You’re making a great contribution to the community." Your hard work, dedication and caring are really paying off. We are all very proud of you!!!" 03/24/09: Beth wrote... "Josh, that is so unique. 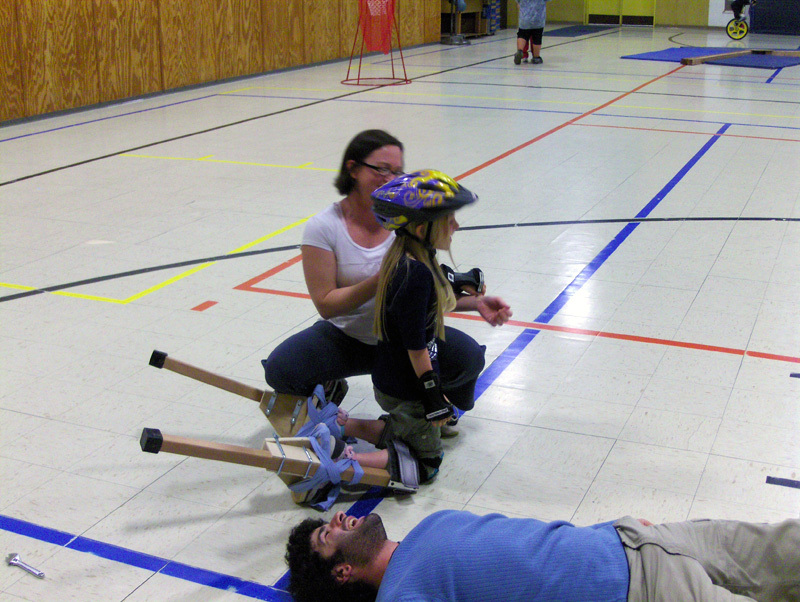 What a great way to learn balance and stay fit. I'm sure it's really tricky to learn and not nearly as effortless as it looks. And a parade, that would be so cool. I'm sure the kids are going to love it."